This collection examines what happens when one country’s experience of dealing with its traumatic past is held up as a model for others to follow. In regional and country studies covering Argentina, Canada, Japan, Lebanon, Rwanda, Russia, Turkey, the United States and former Yugoslavia, the authors look at the pitfalls, misunderstandings and perverse effects – but also the promise – of trying to replicate atonement. 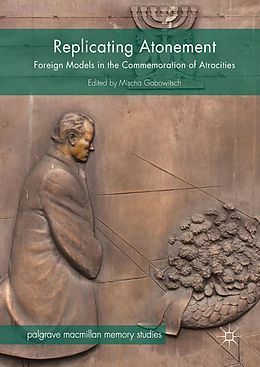 Going beyond the idea of a global or transnational memory, this book examines the significance of foreign models in atonement practices, and analyses the role of national governments, international organisations, museums, foundations, NGOs and public intellectuals in shaping the idea that good practices of atonement can be learned. They also show how one can productively learn from others: by appreciating the complex and contested nature of atonement practices such as Germany’s, and by finding the necessary resources in the history of one’s own country.